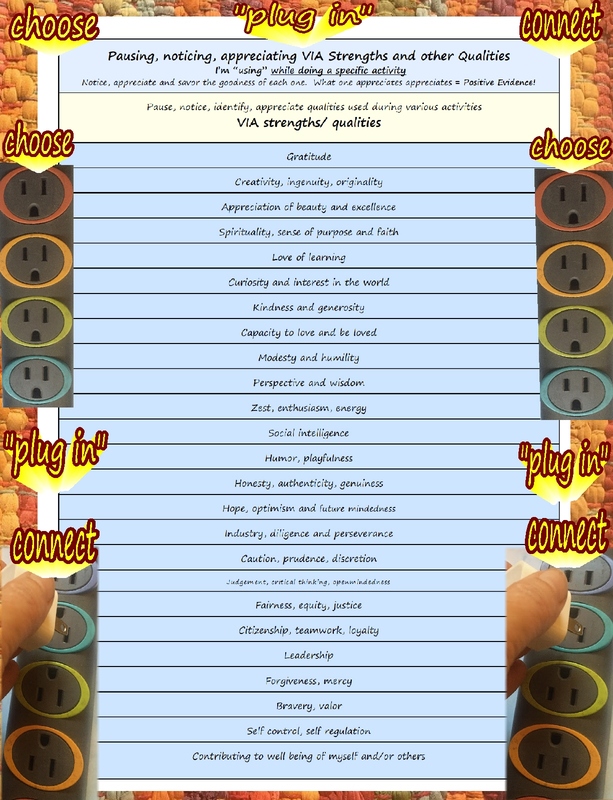 ← “Plug into” ….any positive qualities….spirituality, love, connection, strength, independence, wisdom….. There is so much positive energy accessible in each of those wonderful qualities! so many potential, energetic, positive qualities! 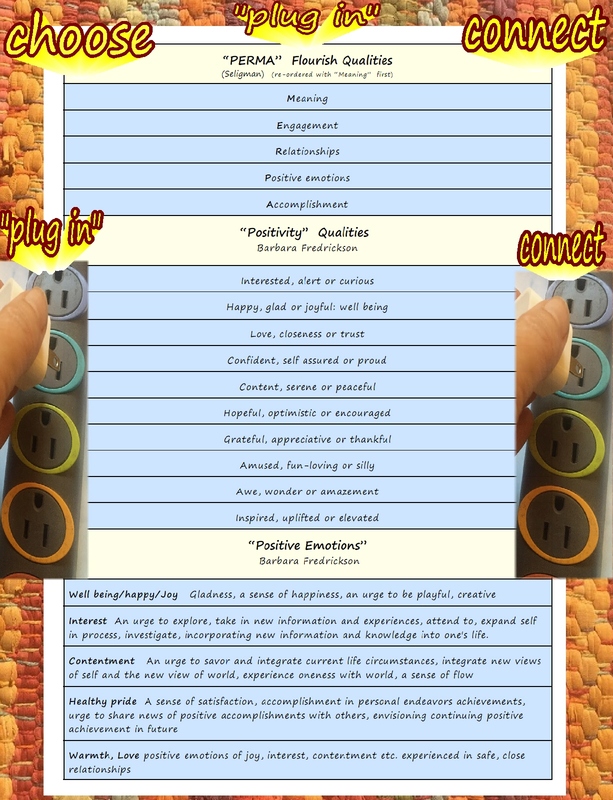 “Charts”…for using VIA Core Strengths, Positivity Qualites, Perfections…. 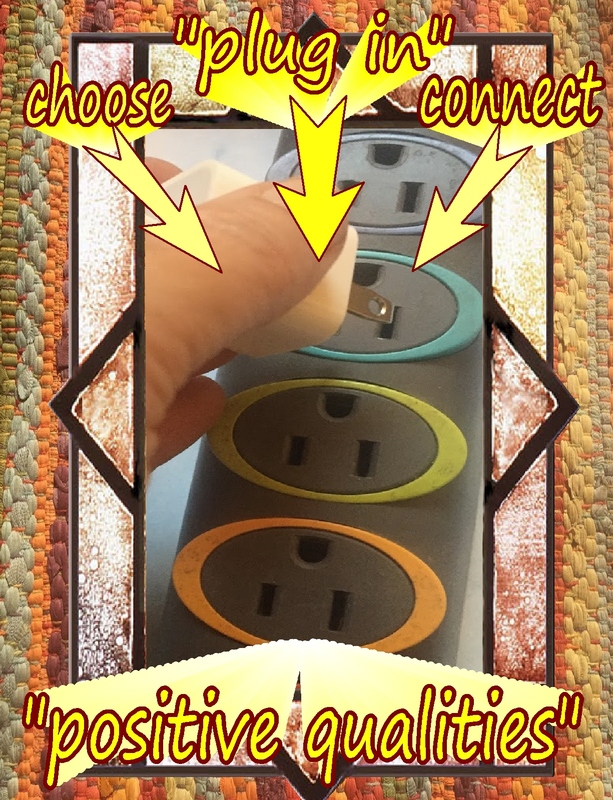 plugging into those positive energies…. living our lives more meaningfully, intentionally, richly and fully! the abundant positive energies of…. Effective organizing, initiating, persisting, completing of activities…. And…my variation on….Optimistic Explanatory Styles.…. The accessible and powerful energies of so many positive qualities! 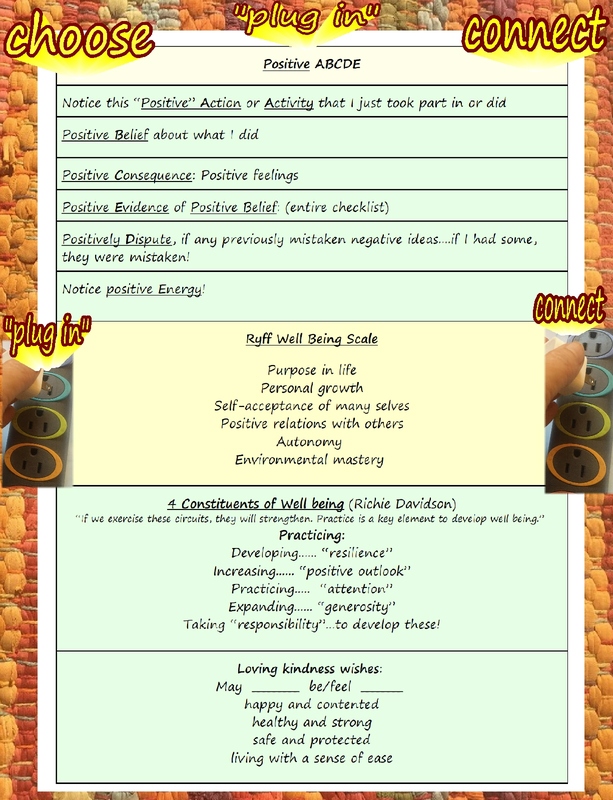 A daily reminder “checklist” I just came up with (specific to my own daily life) using these wonderful ideas… in support of creating positive habits through nurturing and developing more conscious ongoing awareness, commitment to and activation of these qualities and ways of living each day…. hopefully taking these positive ideas from an “interesting, theoretical, academic perspective” to a “living these ideas each day” perspective….leading to a richer, more meaningful, engaged sense of well being in our everyday lives! Wow!!!!Wow!!! 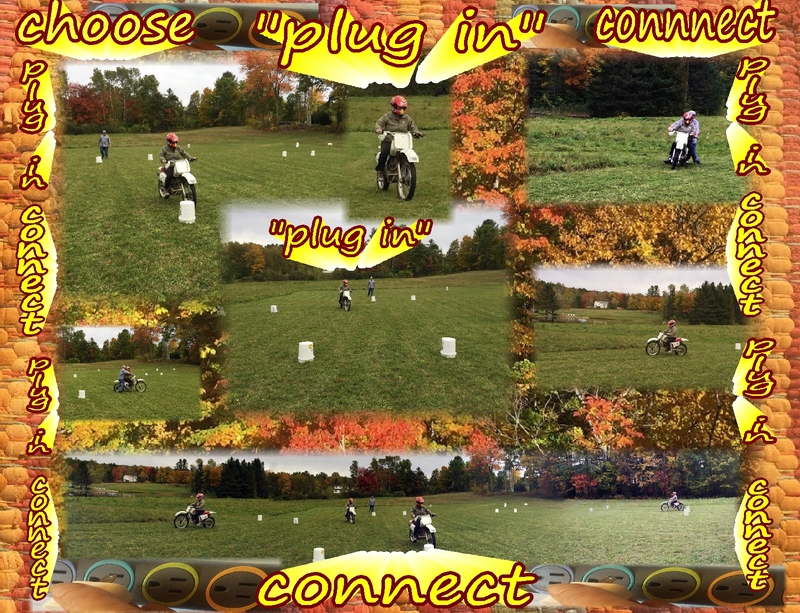 Last week, I learned how to ride a motorcycle/dirt bike!!!! Wow!! I never, ever, ever, ever thought I’d do such a thing!!! cheerfully, curiously and enthusiastically living the ideas on those lists!!! This entry was posted in Encouragement, Life and tagged Appreciation, Awareness, Encouragement, Happiness, Inspiration, Life, Mindfulness, Motivation, Personal growth, Positives, Spirituality, Wisdom. Bookmark the permalink. You’ve really put a lot of personal positive energy into sharing excellent resources. I’m quite impressed. 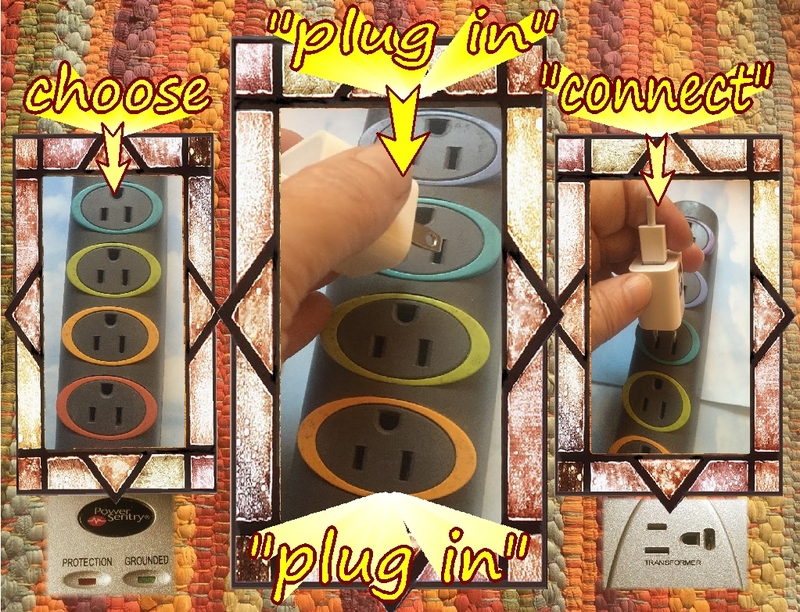 I like the repetition of the words “choosing, plugging into, connecting.” Excellent prompts!